Not Pirates But Corsairs: Who Hijacked Libyan Tanker BADR? An indicative mainstream media consensus is emerging alongside the scandal with the piracy hijacking of the Libyan tanker BADR – names and track records of the people behind the Bulgargeomin Ltd company are not mentioned for any reason. The main talking point is the fair recovery of an old Libyan debt to a respected Bulgarian firm. It is not even clear which company this is. However, the reality is quite different, despite the efforts of, both, media and government actors to legitimize a non-legal entity. Because Bulgargeomin Ltd, which obtained the tanker with the help of a private law enforcement agent (PLEA) and despite the rulings of the Bulgarian Court, is precisely such a non-legal entity, not a company or a commercial association. This legal statute is important, as evidenced by the ruling of the Supreme Court of Cassations, emphasizing that Bulgargeomin Ltd is ineligible and cannot be a claimant in a “maritime claim”. “Claimant” means any person claiming a maritime claim, and “entity” means any natural or legal person or any public or private legal entity, the supreme judges – explain. The Court went further by commenting that “the use of a company name with two abbreviations, (Ltd and DZZD) not only creates the delusion for the presence of a legal person within the meaning of Art. 63, para. 3, but also the use of the first abbreviated designation in a foreign language only deepens the uncertainty about its type – whether it is a limited liability company, a joint stock company or even a limited partnership. In reality, in this veiled way some men playing it slick are trying to represent themselves for what they are not. But who are they? As Bivol revealed, the Swiss company Tectona Trading with shares of bearer represented by Andrea Caravelli and the offshore from the British Virgin Island Moran Trade & Investment stood with equal shares behind Bulgargeomin Ltd at its establishment on April 4, 2013, under the name Consortium BGM. Their Bulgarian avatars are Tectona with a capital of BGN 200, Globe West Group 1 with the same capital, later renamed Moran West and Moran Trade with a capital of BGN 5,000. The contract for an association has been concluded between these three companies, with Tectona having 50%, and Global West Group and Moran Trade jointly owning the other 50%. Just a few days after the establishment of Consortium BGM, on April 11, 2013, the Sofia City Court gave the green light to this association to buy out the assets of the State-owned company Bulgargeomin, which had been bankrupt. On May 9, 2013, Consortium BGM was renamed with the misleading name Bulgargeomin Ltd, and on May 16, 2013, it concluded a contract with trustee Hristina Stamova, with which by direct negotiation (without auction) it acquired lucrative assets – properties abroad, receivables and other assets of the insolvent State-owned company. The price, and especially the origin of the funds for this acquisition, are a secret. However, it was been clear even then that Dimitar Yosifov, one of the well-known owners of the waste disposal and management company Titan was behind Moran Trade and Investment. It was him who signed the contract with the trustee Hristina Stamova. Tectona was represented by Kostadin Borisov Anakiev. The next year, Bulgargeomin Ltd won two public contracts for a total of BGN 1.4 million from Sofiyska Voda (Sofia Water, the water utility company in the Bulgarian capital) and in 2015 it carried out its first legal attack for the Bulgargeomin assets, which was against Bulgaria. The company used its misleading name to file a court case in Zimbabwe to acquire lucrative properties of the Bulgarian State, according to the ruling of the Supreme Court of Zimbabwe, available online. This nasty attempt was unsuccessful. The fact that Bulgargeomin Ltd had attempted to mislead the court in Harare that it had been a legal entity, the owner of two State properties for 33 years, is, however, outrageous. But the activity of Bulgargeomin Ltd in Zimbabwe was not at all accidental and incidental. In 2013, a Bulgarian national, a partner of the Swiss man from Tectona appeared on stage in South Africa. This was amphetamine (captagone) trafficker Tsvetan Tsanev, who, together with Andrea Caravelli, the manager of the Swiss Tectona Trade and with the German businessman Henri Henrion, had been negotiating with an Italian mafia boss for investment in a diamond concession. This was revealed by the investigation “Mafia in Africa” by the Italian center for investigative journalism IRPI, in which Bivol also participated. Tsvetan Tsanev is well known in Bulgaria. There is serious evidence that in his youth, during the time of the Communist regime, he had been involved in the trafficking of amphetamines through a German company through the Italian port of Bari. In 1991, the notorious captagone case was launched by the Prosecutor General’s Office. Tsvetan Tsanev was among the 21 defendants, including politicians, directors of State enterprises and former agents of the Communist regime’s special services – the State Security (DS). According to the case, the captagone was produced to implement the program for the acquisition of foreign currency, masterminded by the Currency Committee of the Central Committee of the Bulgarian Communist Party. The case was later closed because of important State interests, but the prosecutors had claimed at the time that USD 1 billion a month had been taken out of the country through this so-called “hidden transit”. The close relationship of Tsvetan Tsanev, who is also a former DS agent, with Tectona and Bulgargeomin Ltd, respectively, is also confirmed by the fact that Kostadin Anakiev is a partner with Tsanev’s wife Velichka and is the manager of the company BDZ Interservice of his father Georgi Tsanev. But not just that. Another important link is the banker from Investbank Dimitriika Lazarova Andreeva. Shortly after the association of Tectona and Moran in Bulgargeomin Ltd and the purchase of the assets of the State Bulgargeomin, she became Tectona’s manager and remained as such until March 2018. 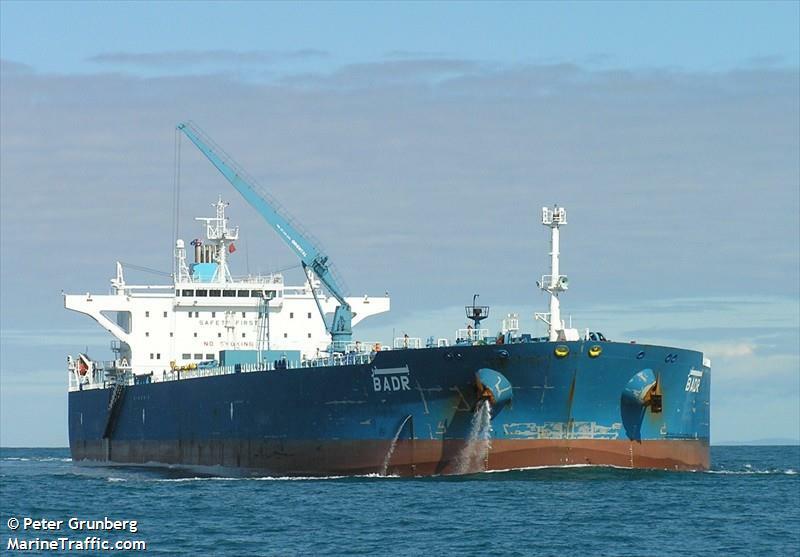 We recall that the initial arrest of the BADR vessel over the Bulgargeomin Ltd’s claim was in November 2017. At the time when Tsanev was the owner of the company Russpretroleum, its manager was Assen Kavdansky. It is he who appeared before notary Ioanna Andreadaki, along with Greek businessman Georgios Lappas, to prepare a maritime mortgage on the tanker BADR. However, the mortgage has not been signed as the parties have failed to appear on the scheduled day. The draft, which has remained with Lappas, has been forged later with Andreadaki’s signature and seal. An apostille from the court in Athens has been placed on the counterfeit. The fact that this is a counterfeit is proven by a graphology test, published by Maritime.bg. Documents on the site reveal that there is an investigation in Greece against Lappas and all persons involved in this criminal act. The difference between a pirate and a corsair, for those who have not read books on pirates, is that the pirates work at their own risk and at their own expense, while the corsairs work under the auspices of a State that provides cover-ups to them and protects them if they mess up, explains one of our readers on Facebook in connection with the scandal with BADR. This is precisely the case with Bulgargeomin Ltd, which is a pure corsair. We are witnessing how an entity with an unclear legal status but with distinct roots in the “deep state” of the criminal communist State Security is assisted and defended by the institutions of modern Bulgaria, a European Union and NATO member, in carrying out an unprecedented criminal piracy in the Black sea. Why Is Architect Stanishev Threatening to Thrash Journalists over a Controversial Project?